Fluxible 2014 has come and gone, and it feels good to look back on what was yet another successful event. The program of talks and workshops was wonderful, with ample support from the Festival of Interstitial Music. The feedback that we’ve received has been overwhelmingly positive, which is a gratifying thing to see. The Fluxible team was amazing, attending to all the details that make Fluxible such a special experience for everyone. Whether it was the delicious food, the customized water bottles, the Saturday party, or even, inexplicably, the live goats, there was someone making sure that it all came together. 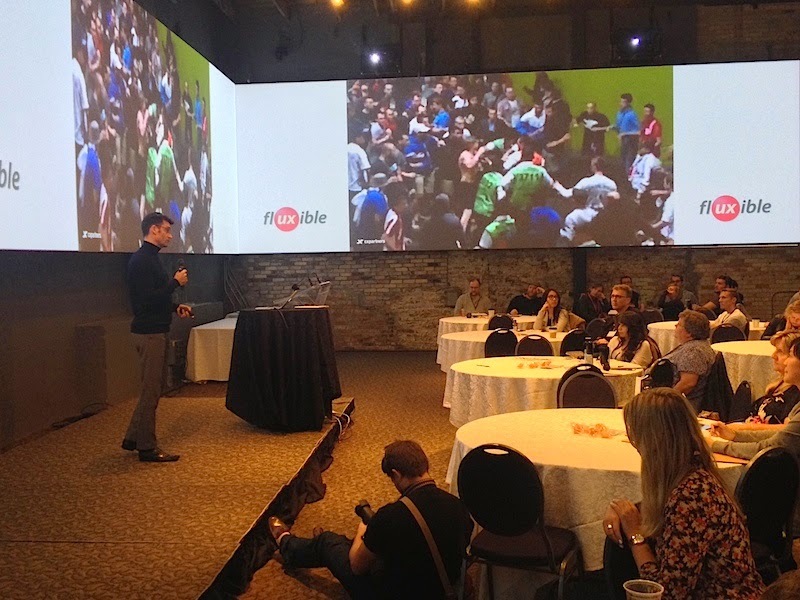 I’m particularly pleased that Fluxible 2014 was at the heart of 5 Days of UX, and that each of the other events was also successful. My friend Darin White created a terrific photo essay of his experience at Fluxible, and you should check it out to see what you missed, or what you enjoyed, as the case may be. Bob and I are delighted with the outcome, and are already planning for next year's event. I hope you’re thinking about joining us in 2015!